I’m no newcomer to covering the Hajj. In October 2013, I journeyed to the Arabian Peninsula to report on this 1,400-year-old pilgrimage story for the third time in America. This year, I filmed the Hajj as part of a PBS series titled “Sacred Journeys” hosted by New York Times columnist Bruce Feiler, in which he traveled with various Americans on six different religious pilgrimages. What the journeys showed most was the incredible human capacity to surmount trial. Each pilgrimage reinforces a powerful connection between the travelers who take these journeys today with those who did so long before. 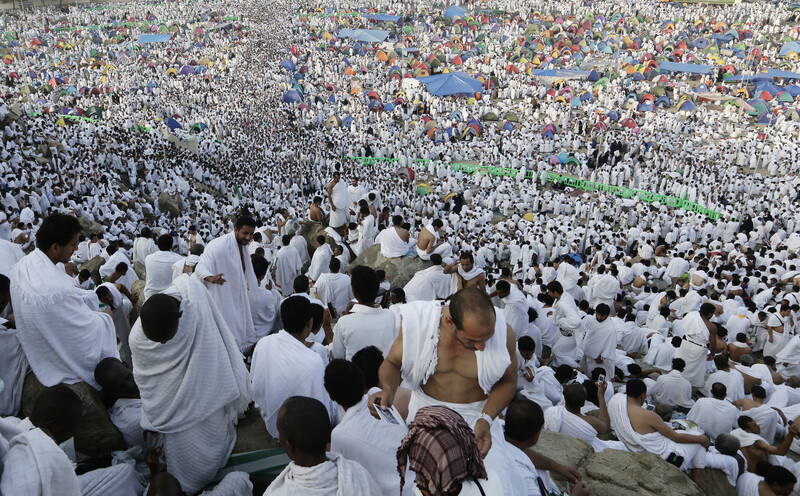 The Hajj is no exception. 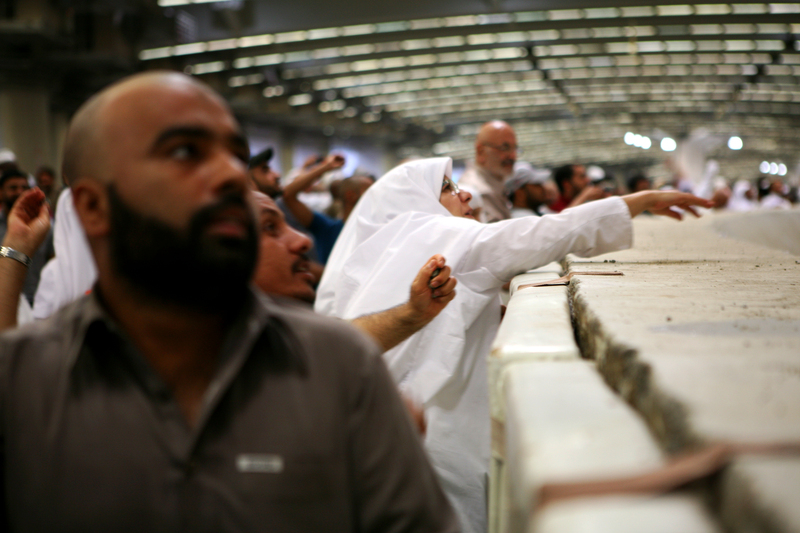 In fact, many people who study the Hajj call it the “mother” of them all. I’ve made several other journeys to the Ka’aba in Mecca without camera crews to perform the small pilgrimage, or umrah, so I know the territory and traditions. I’ve written and lectured on Hajj, sharing the unforgettable challenges, blessings and lessons from each of my personal sacred journeys. 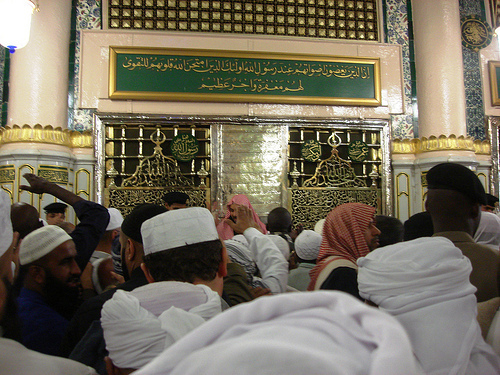 On this journey I focused on a number of Americans from the Boston area who were making the Hajj. It was easy to anticipate long hours, getting lost from time to time, camera batteries dying at just the wrong time and random people waving their arms to say “hi” or warning me to stop my work. From the Scottish side of my family, I carry the motto: dulcius ex asperis, “after difficulty, sweetness.” I was hoping for fresh spiritual insight for myself and maybe even some miracles for the men and women whose stories I was there to share. But this journey hurled more at all of us than we ever expected. The people I traveled with were Americans from different backgrounds. California-born Amira Qureishi is the Muslim chaplain of Wellesley College (as a Wellelsey alumna this pleased me greatly). Her husband, Husam Ansari, an ophthalmologist, is from Minnesota. Jack Lindsay’s ancestry dates back to early émigrés from England. Tala Khudairi was born in Iraq. Her parents moved here when she was a toddler. Each of them told me that they undertook this journey to learn more about Islam and to complete a mandated “pillar” of the faith; they wanted to test their faith in God, self and other. But more importantly, each was seeking a transformative experience that might set them free from heartache, regrets and self-doubt; they wanted to enliven their ambitions and deepen their ability to be better people once they got back home. And, as fortune would have it for a filmmaker, all would be welcomed on the Hajj with struggles they probably didn’t anticipate. Tala grappled with concerns about the dense crowds that pack the Haram al Sharif — the Grand Mosque — at Mecca. Hundreds of thousands of pilgrims go there simultaneously to circle Islam’s central shrine, the Ka’aba, in a ritual called tawaf. I was with her as she performed it for the first time. 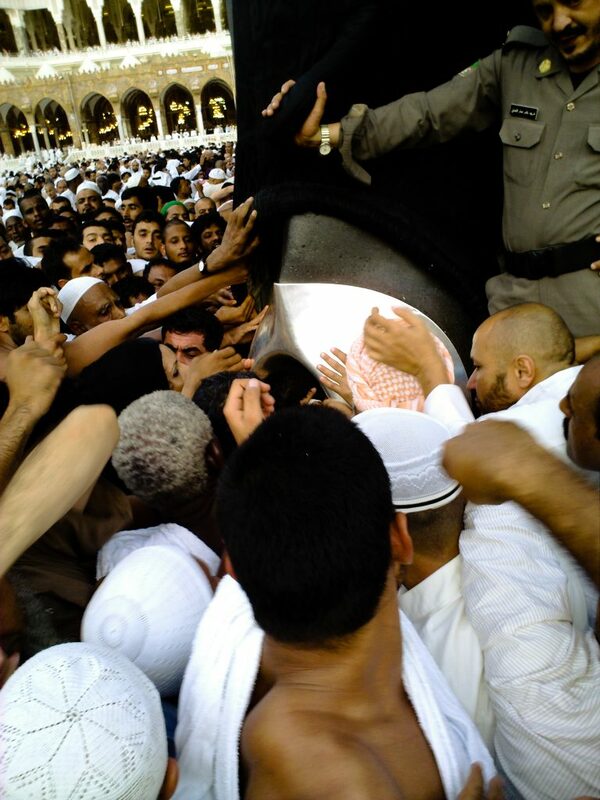 The Ka’aba drew her in, closer and closer, the crowd more crushing with each step. Suddenly the crowd began to zigzag. “Back and forth, the wave,” Tala remembered. “If one of us fell, we’d all go down. But we held each other up.” Later, dehydrated, Tala fainted and was rushed to a two-room medical clinic tucked under the main floor of the Great Mosque. Volunteer doctors from around the world tended to her and the many other pilgrims in need of rest, IV saline, antibiotics and bandages. In the vast tent city of Mina, snuggled in a valley between the urban metropolis of Mecca and the all-important encampment of Arafat, Amira rolled over on her mattress one night and twisted her knee. Badly. This “I-can-do-it-all” mother and professional suddenly found herself in a wheelchair, relying completely on others. “I don’t think I’ve really ever been in this position before,” she confided. “One of the hardest things is really to let people help me.” She had to let go, submit to an unwelcome reality, and discover, perhaps, a new and welcome reality: That others wanted to help her and that it was OK to let them. “Everyone’s behind you,” her husband Husam reassured Amira. Their friends and even strangers helped out, carrying her things, pushing the wheelchair and plying her with hot tea and ibuprofen. The simple goodness of people warmed Husam’s skeptical soul. I had ordeals of my own to overcome. My team and I worked 19-hour days, ate intermittent meals, and tromped endlessly through crowded streets with tripods on our backs and cameras clutched to our chests like babies needing protection. Although I had arranged all our permits, we waited repeatedly for access to those pre-approved places. Patience is a quality all pilgrims (and professionals) must polish. 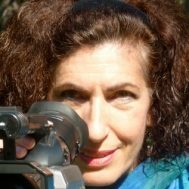 “So what I’ve been learning,” Tala said, resting, writing and praying on the Hajj’s culminating day of Arafat, “is that when I’m doing everything I can and it’s not going the way I think it’s supposed to go, or it’s not getting resolved and it’s beyond my control, I have to surrender.” She was dressed in white. Pale, determined and vulnerable. “It’s not about giving up,” she gestured downward dismissively. “It’s giving up.” She lifted her arms and eyes toward the skies. In the end, a group of Americans who came on this sacred journey as individuals departed as a closely-knit community. Their bond was strengthened as they not only undertook a physical challenge, but also attempted to find meaning in the rites they performed. This quality was common to the other religious pilgrimages that my colleague Feiler observed. Pilgrims of all traditions share a bond as adventurers and seekers. Pilgrimage builds relationship to self, to others, and to the unknowable power that some call “God.” People who journey together today forge a link with those who’ve walked the path before and they may imagine the footsteps of pilgrims yet-to-come. The physical and spiritual undertaking called pilgrimage also connects Americans of different religious backgrounds to one another. Anisa Mehdi is an Emmy Award-winning broadcast journalist, a writer and a flutist.